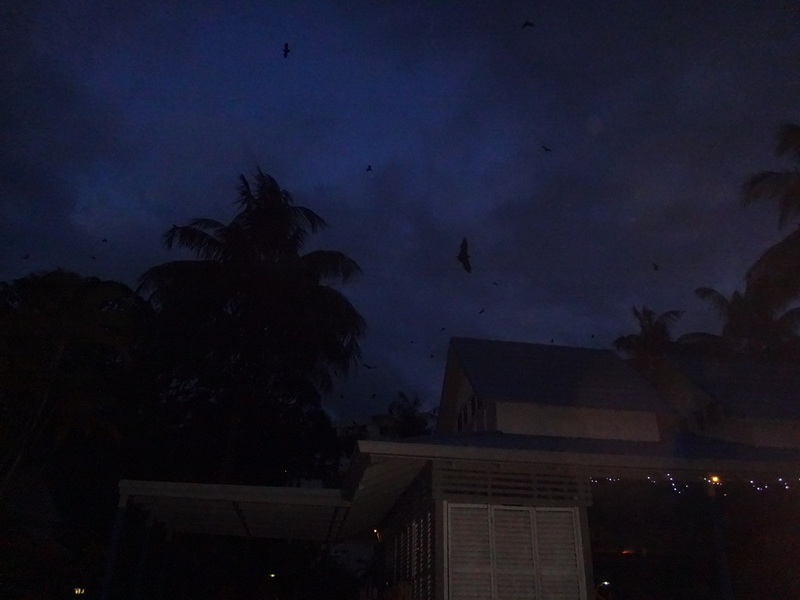 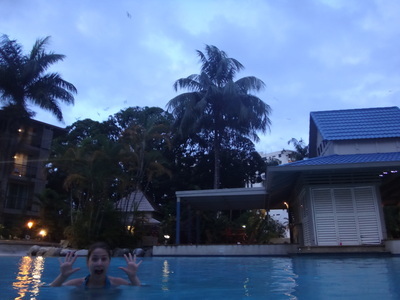 Fruit bats, also known as flying foxes are everywhere in Cairns, Queensland. 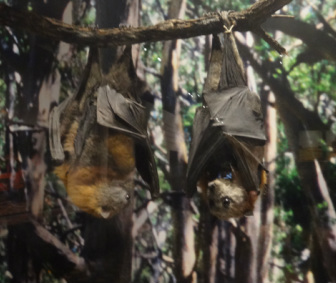 The picture to the left is a stuffed Fruit Bat at the Australian Museum. Right next to our hotel there was a large park filled with Fig Trees where the bats would roost. 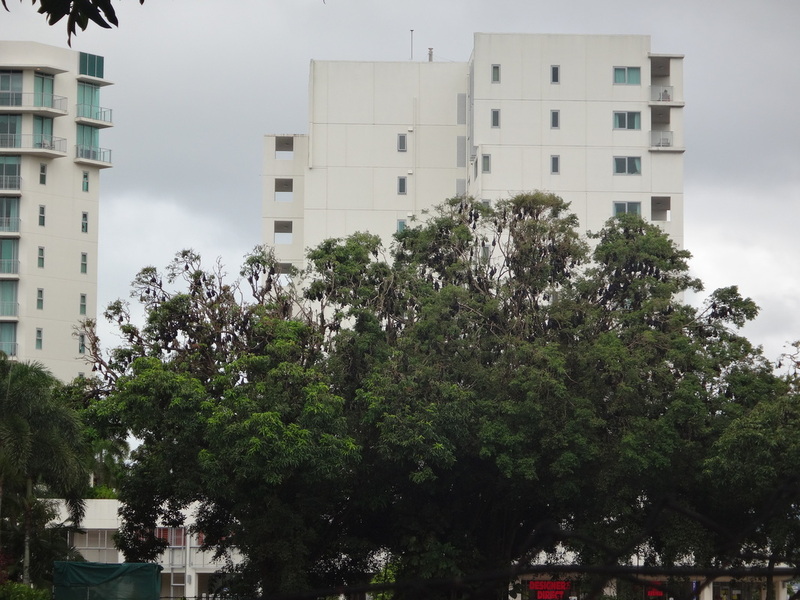 All day they would fan themselves from the heat, sleep and get in a scuffle with a neighbouring bat over the limited space! At dusk, the skies would come alive with the bats circling the skies... now it was pretty amazing but I will say... when you have a bird flying over your head what do you worry about it doing on your head? 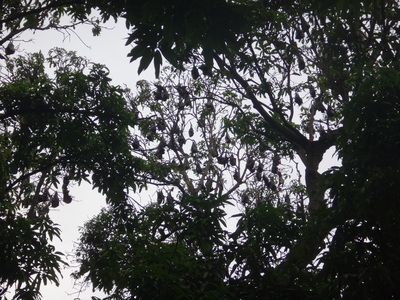 ...Imagine THOUSANDS of bats!